The Chief Nursing Officer for England and the London Regional Medical Director Dr Vin Diwakar urged the over 65s to take advantage of NHS England’s biggest ever flu vaccination programme. Older people across London are being offered the most effective vaccine in the world as part of the programme which is providing a record 8.5million doses, free of charge. The last batches of the new Adjuvanted trivalent flu vaccine, or aTIV, which provides much more effective protection for over 65s, were being delivered to GPs and pharmacies across the country this week ahead of the flu season, which usually starts in December. 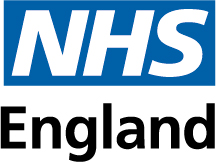 NHS England is also providing vaccines for other vulnerable groups such as pregnant women and people with long terms conditions, as well as for NHS and care staff. There is also a nasal spray, which works better in younger people, and is free of charge for children. Seqirus, the sole supplier of the new, more effective vaccine for over 65s, have phased deliveries to cope with global demand. As the NHS continues to work with GPs and the Royal College of Physicians to ensure the vaccine gets to where it is needed, the only supplier of the flu vaccine, Seqirus, confirmed it has now despatched the final supplies for England. Professor Jane Cummings, the Chief Nursing Officer for England said: “This is the biggest flu vaccination programme we have ever undertaken offering more people than ever the greatest opportunity to protect themselves. Dr Vin Diwakar, Medical Director for NHS England London said: “Uptake on the flu jab particularly among the 65 and over age group across the country is generally down on where we were this time last year and we are working to increase the number of people being vaccinated. GPs and pharmacies have been setting up special vaccination clinics. There is also a helpline for GPs and pharmacies if they have any problems so they are able to ensure all patients have the appropriate advice and information about their flu jab.